Imagine beautiful and tanned skin. That's just how SuperTan cosmetics work. 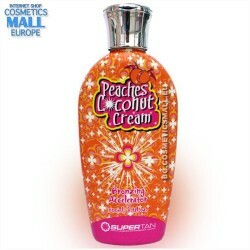 Super Tan, Super Bronze, Super Effects. It's pleasure that comes from the tan as well as fast and superb results. Everyone will find something for themselves in the wide range of cosmetics we offer – in the Super Sensations line, formulated for intense experiences, as well as the Slim Effect line, which focuses on slimming and smoothing skin. 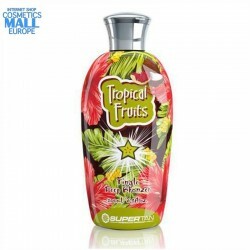 SuperTan is more than a tan. It's also excellent skin care, because all our cosmetics contain abundant plant extracts, conditioning oils and vitamins. More over, you can not only extend, enhance and deepen the effects of tanning, but also take care of your skin as well as possible. 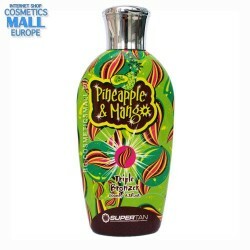 We were guided by the same idea when creating SuperTan lamps for solarium tanning. The result of our efforts are lamps that ideally meet the needs of Polish solarium customers – lamps with high ratings which produce a beautiful tan. Get ready for unique sensations and Super Tanning!